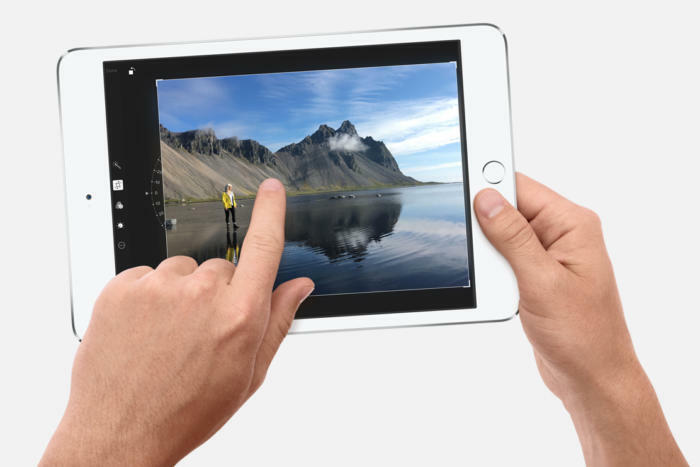 The iPad mini is too small for Apple's vision of what an iPad should be. Let's let it go. Let us pity them—the sad, devoted lovers of the iPad mini. In the wake of every Apple iPad event since 2015, you can find them frowning in the crowds or, later, rushing to Reddit to weep in collective misery at the absence of their beloved device’s Fifth Coming. But I say there’s no cause for all that melodrama. I say Apple has already given us the latest iPad mini: It’s just calling it the iPhone XS Max. This would have been a weaker argument as recently as a year ago, when Apple’s largest phones remained saddled with chunky bezels. Now, we’re seeing a reversal of the old order. In 2010 it was popular to joke that the iPad was little more than a massive iPhone, but with the arrival of the iPhone XS Max, it’s increasingly more accurate to say the iPhone is a tiny iPad. After all, Apple still describes the iPad mini as a device that delivers “uncompromising performance and potential in your hand.” It gives you “power that’s anything but mini.” It’s light! It’s thin! Frankly, that sounds more like a description of Apple’s rock star iPhone than the sluggish, three-year-old tablet with an A8 processor that Apple still dares to sell for $399. The iPad mini still has size in its favor, as the iPhone XS Max has a diagonal display length of 6.5 inches while the iPad mini 4 has a diagonal length of 7.9 inches. The iPad mini 4 still wins by more than an inch, but I’m not convinced that difference is big enough to declare the iPad the clear winner. And such comparisons grow more complicated with the full dimensions, as iPad mini apologists readily assert. The iPhone XS Max’s full display measures 6.20 x 3.05 inches, while the iPad mini 4’s display measures 6.3 x 4.7 inches. That makes the iPad mini 4’s full display almost double the area of the one on the iPhone XS Max—darn close to the display size of an Amazon Kindle Paperwhite. Let’s keep that comparison in mind: Amazon designed the Kindle Paperwhite for consumption, not for work. And so it largely goes for the iPhone XS Max and iPad mini 4. The onscreen keyboards on both devices are too small for long-term typing, and their cramped dimensions would discourage lengthy scribbling with the Apple Pencil if support were ever added. As we all know from Apple’s “What’s a computer” ad, the Cupertino company now wants us to associate its tablets with these activities. The iPad mini simply isn’t up to par. For media consumption, though, the iPhone XS Max does fine as a substitute for the iPad mini. I don’t think it’s a stretch to claim it eliminates the need to buy two different devices. I’m comfortable using it when I play complex strategy games like Civilization VI. I used it to watch three episodes of Netflix’s Daredevil on the couch last night and never felt a small tablet would have improved the experience. Even the Kindle comparison breaks down. Holding my iPhone XS Max horizontally, I find I enjoy reading books with it far more than I do with an actual Kindle. With the XS Max’s lovely OLED display, the screen’s clarity comes close to mimicking what I’d expect from a physical page. And, of course, the iPhone XS Max is so much faster than the iPad mini 4, but I believe that’s an unfair comparison owing to the iPad mini’s age. 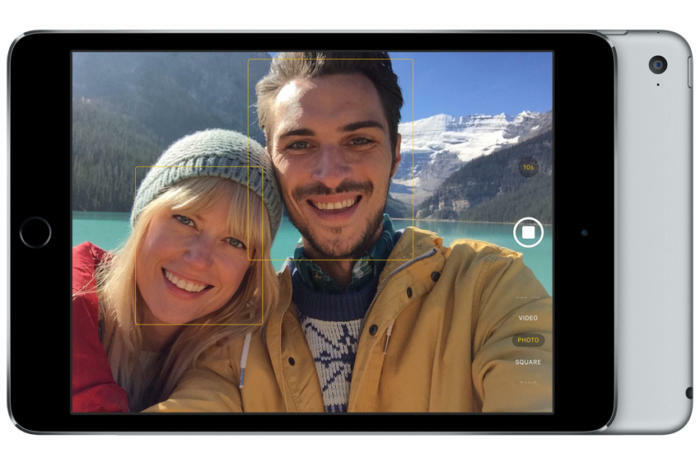 When Apple calls attention to the iPad mini 4’s camera, the device almost looks like an iPhone. When I do need to work, though, I find the iPhone XS Max does about as good of a job as I can expect from an iPad mini. In fact, I’ve started using my iPhone for work more often than my iPad. Last November, Ghost’s John O’Nolan lamented on Twitter that he’d been reduced to using a Bluetooth keyboard with his iPhone following the death of his MacBook Pro, but that’s exactly how I’m writing the draft for this story. And I’m doing so by choice. Regardless of where I am, I can simply hook up Apple’s thin Magic Keyboard 2 or my beloved Logitech K810 and I’m ready to go. The only thing I really miss when I work like this is an iPad’s Split-View multitasking, which greatly simplifies writing drafts and outlines while reading sources on another page. If Apple managed to bring that to the iPhone—even when only used with a Bluetooth keyboard—I’d be tempted to skip iPads altogether. It’d be nifty if Apple Pencil support eventually made it to the iPhone as some sketchy rumors last August suggested, but I don’t miss it much on my iPhone. Apple has always struggled to fit the iPad mini in its lineup, and it doesn’t surprise me that we haven’t seen it for three years. As early as 2013 we reported that it was a “drain on Apple’s profits,” and that was when Apple was still selling them for a mere $329. That’s a significant sum, as it’s exactly the retail price of Apple’s new 9.7-inch iPad (which we often find on sale for as little as $280). Apple likely isn’t going to go much cheaper than this for a new iPad, and that’s important, as the price was always one of the primary appeals of the iPad mini. These days, though, the iPad mini 4 costs $399, and it comes up short in almost every way at that price. The new 9.7-inch iPad is a larger device, but it’s not huge. I’m tempted to say it’s perfect. It’s about as fast as a first-generation iPad Pro. Typing on it is comfortable, whether with the onscreen keyboard or an attached keyboard case. For that matter, it leaves plenty of room for broad strokes with the Apple Pencil, making it ideal for students who need to read and take notes. In contrast to the iPad mini, the display size is large enough to justify buying one in addition to an iPhone. I have little doubt that plenty of people would buy an iPad mini if it returns. And return it may, as celebrated analyst Ming-Chi Kuo suggested last October that we might see a new iPad mini soon. And when the scrappy tablet failed to make an appearance onstage on October 30, its devotees, undeterred, resumed their doleful vigil. But why? With a gigantic iPhone that’s almost a match for the iPad mini in length if not width, with an affordable iPad that’s aimed at artists and professionals rather than mere media consumers, the iPad mini now feels now more redundant than revolutionary. It’s too small to fulfill Apple’s vision for the iPad, and it’s excessively large for tasks we can easily perform with an iPhone XS Max. We’re finally at the point where Apple is figuring out the roles of each of its complicated product lines, and now, more than ever, the iPad mini feels like a lowly extra.